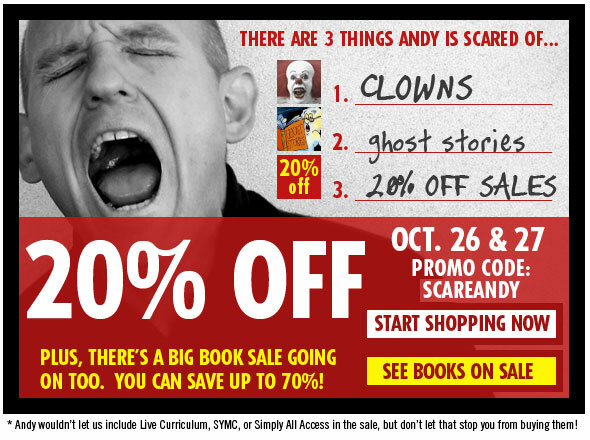 Over at SimplyYouthMinistry.com you can save 20% off your order for the next 2 days by using the promo code: SCAREANDY. What better way to celebrate Halloween. Also there are a bunch of books on sale, and you can double up with the 20% off and really save some coin. Jump over to the sale category to have a look at those.